After a long, lively, disputed and sometimes acrimonious campaign, the people of the United Kingdom chose to leave the European Union. 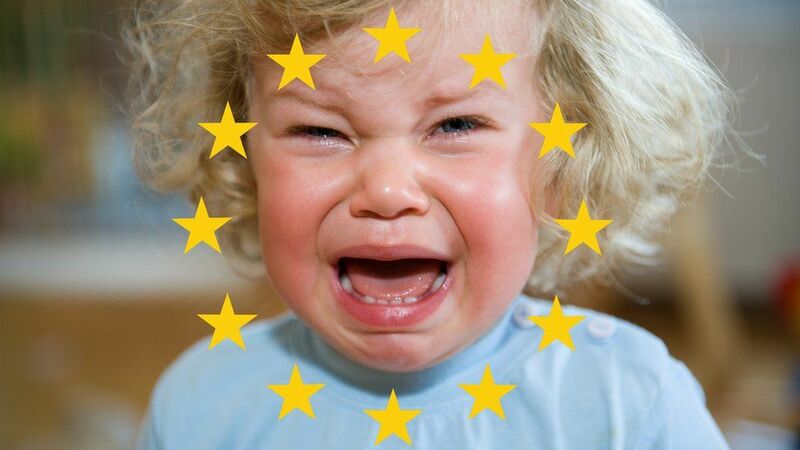 Over seventeen million people (52% of voters) stated their will to leave the euro-mess and go it alone. Understandably, many of the 16 million who voted to remain in the EU are frustrated, sad, or even angry with the outcome of the vote. However, elections and referenda come and go, they are won and lost, and life goes on. This time in the UK, things went a little differently: some of the losers do not seem to come to terms with the fact that they lost. Fair and square. A Sore Loser, of sorts. SORE LOSERS, BAD PEOPLE: Comments criticising the supposedly short sighted and selfish vote of the elderly people, the majority of whom voted “Leave” is totally unacceptable. To ask “how long they have to live with the decision, on average?”, written in a site that belongs to “The Independent” is despicable, shows a gross disrespect for the aged people and demonstrates a total absence of the basic democratic notions. Maybe the writers in 40 years-time will be ditched in the sewer by some 2050’s youngsters. SORE LOSERS, INTOLERANT PEOPLE: The drive to repeat the referendum based on previously non-existing rules smacks of intolerance, not to speak of blatant unlawfulness. So, these people did not like the results, so let us repeat the exercise until they like the outcome. It shows intolerance for the others’ creeds, it shows arrogance and, again, it shows a strong anti-democratic streak. Never mind that they are trying to change the rules of the game after the fact. Sore losers, that’s what they are. SORE LOSERS, OPPORTUNISTIC PEOPLE: The leader of Scotland and the leader of the second party in Northern Ireland are trying to use the referendum results as the foundation of claim to secession. The argument goes that the “Leave” prevailed in England and Wales, but not in Scotland and in Ulster. The problem with this line of argument is that the referendum was a national one, a United Kingdom referendum, with a single binding result: that of the entirety of the United Kingdom. Some people will do just about anything to twist the results, their meaning and their consequences. Until people do not admit that other people have the right and legitimacy to think and vote differently, until these people do not realise that the rights of young and old, right, centre and left, urban and rural, more and less educated, are the same, they will continue to exhibit intolerance in the name of a self-proclaimed enlightenment and progress. And they will keep being sore losers. I think it's more a question of worried losers- everything has got worse, and Brexit solved none of its claims. The campaign was built largely on lies; the campaigners should actually face charges in court! If any other decision was based on such deceit, it would be rejected in court. And finally, although those against Brexit lost, this is actually means that 37% (72.2%x 51.9%) of Brits actually decided to sink the ship, vs 35% who voted not to, and 28% who probably regret their decision not to vote.